DWIGHT SCHOOL SEOUL is the FIRST IB Continuum School in Seoul. 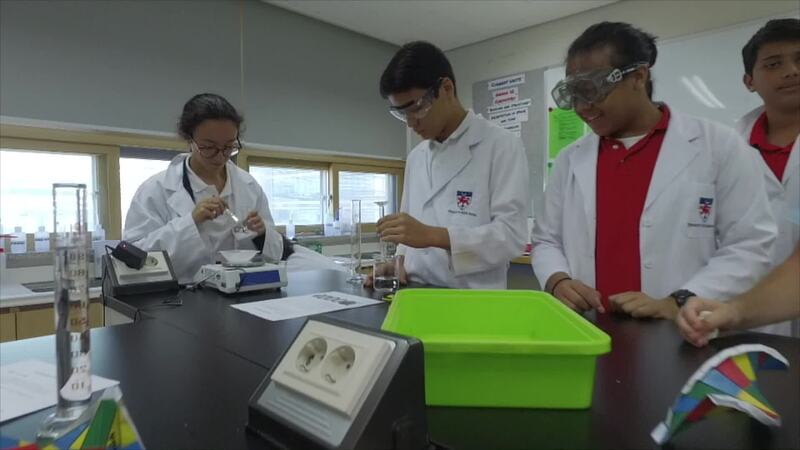 Specially selected by the Seoul Municipal Government to open a model IB World School in Seoul, Dwight School Seoul has gained International Baccalaureate World school status and joins the proud history associated with The Dwight Schools and the International Baccalaureate Organization. Worldwide, over 3,600 schools in 141 countries offer at least one of the International Baccalaureate Programmes. Widely known as the most challenging and respected pre-university course of study anywhere in the world, the IB is the only universal curriculum where students are graded according to international benchmarks. At Dwight, we believe that every student is unique. Our goal is to create world leaders through academic excellence but also to develop each student’s passion through an individualized, strategic approach. We are committed to providing personalized learning for all of our students, allowing them to immerse themselves in a comprehensive range of subjects across all three International Baccalaureate programmes: Primary Years Programme (preschool-grade 5), Middle Years Programme (grades 6-10) and the Diploma Programme (grades 11-12). Our master teachers from all corners of the globe provide an enriched and innovative learning experience.